Our friend and cartographer Paul Greatorex put together this map of the greenlake area showing the lots meeting the minimum requirements for zoning, area, width and lot coverage required to qualify for a backyard cottage. It is interesting to see how many lots meet the basic requirements. There are other requirements that must be met as well most notably providing an additional parking space for the new cottage. If you would like a jpeg image of this map or to find out if your lot qualifies for a backyard cottage contact us at info@microhousenw.com. 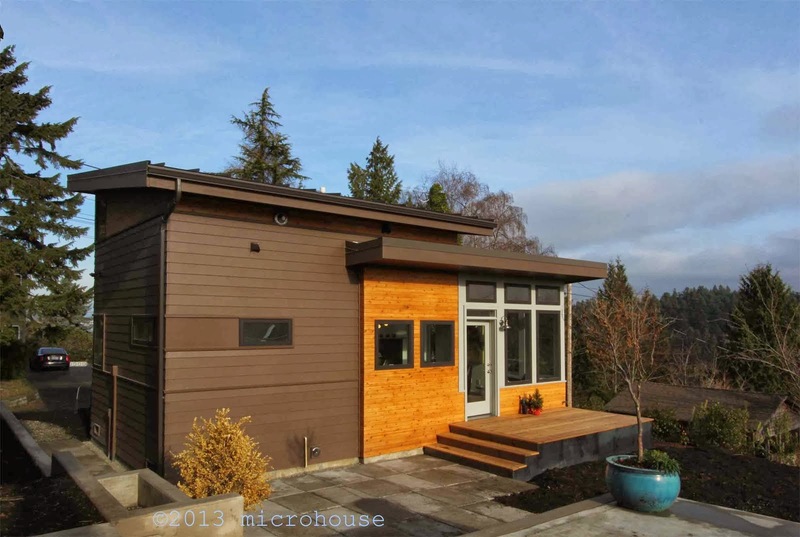 Construction starts today on four microhouse 1,200 sf duplex modules at 113 13th Ave E on capitol hill. The L3 zoning of the lot allows for greater density, size and height than backyard cottages which are allowed only single family residential zones. Parking will be located in a garage under the duplex units. The entire project will consist of 10 units arranged around a courtyard. Can I convert my garage to a backyard cottage (DADU)? 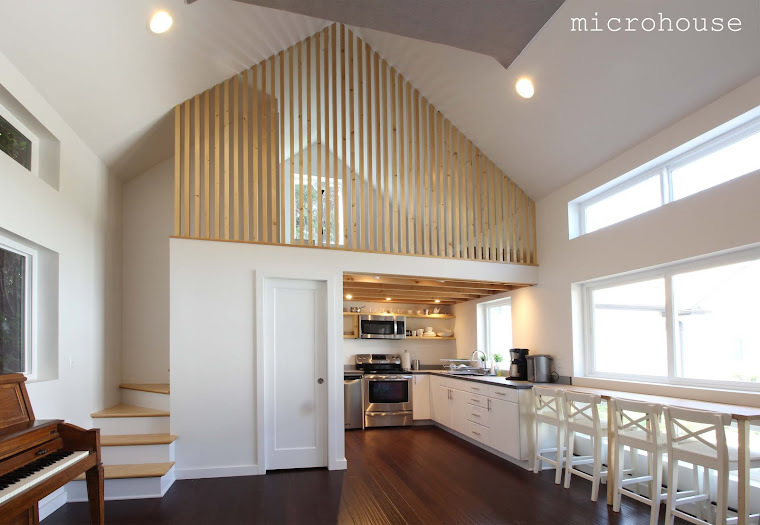 For a single family lot in a single family zone in Seattle an existing detached accessory structure may be converted to an accessory dwelling unit (DADU) if it meets certain requirements outlined in the Seattle Municipal Code. One of these requirements is meeting minimum side and rear yard setbacks 5 ft (DADUs are not allowed in required front setbacks). Most detached garages are built on or within 5 ft of the side property line. At the discretion of the director these to be converted to backyard cottages if the accessory structure was constructed legally prior to June 1, 1999 and the conversion does not increase its non-conformity. Backyard cottages (DADU's) require one parking space in addition to any other parking space required for the primary residence. These parking spaces can be provided in tandem. However, these spaces cannot be located in the required front setback. Backyard cottages (DADU's) require one parking space in addition to any other parking space requirements. For many Seattle lots providing an additional parking space may not be feasible. I spoke with a number of people at the PNA home fair that have sloping lots with existing bunker parking in the front setback. For them providing an additional parking space is not feasible. The question then is can the requirement be waived? The short answer is yes. There is an exception under SMC 23.44.041.5 "Director may waive the off-street parking space requirement for an accessory dwelling unit if: a. The topography or location of existing principal or accessory structures on the lot makes provision of an off-street parking space physically infeasible". The DPD reviewer acting on behalf of the director will make the determination of what qualifies for the waiver on a case by case basis. The challenge then is to get a firm ruling prior to preparing a full submittal. This is probably best done with a pre-submittal conference where these issues can be addressed and the answers can documented by DPD. In the case of the bunker garage and the sloping site the waiver will most likely be granted.